Lucia Silver is an exciting, British Creative Designer who believes in working directly with her clients. You won’t find her original designs anywhere except The State of Grace, as she does not supply or license anyone or any other establishment. “I’m excited by feminine firepower. I am creatively and emotionally invested in discovering and celebrating the individuality of each woman who invites me to design for her. It is an honour and a privilege to be trusted to create what a woman will wear for her red carpet moment, especially her transcendent wedding day. Lucia’s career in fashion and styling began in Notting Hill where she opened the famous L Boutique which was a favourite with celebrities, media and the fashion pack. Lucia’s renowned bespoke clothes designs, accessories and styling have graced glossy shoots and red carpet occasions for an array of trail blazers including Gwen Stefani, Jerry Hall, Sade, Kate Moss, Dame Helen Mirren, Lucy Yeomans, Keira Knightley, Lisa Snowdon, Claudia Schiffer, and more. Paloma Faith chose The State of Grace to design her first sell-out UK tour. Lucia only takes a few commissions every month. This ensures that her clients receive her undivided attention and she is present at every appointment from conception and fitting through to styling and send off! The State of Grace have stepped away from all notion of the cookie-cutter celebrity-look and ‘trend-enslaved’ bride, pledging instead to discover and celebrate absolute individuality in every woman whilst ensuring she receives the undivided attention and expertise of Lucia and her very skilled bespoke design and style team. Lucia’s background in fashion, styling, media and red carpet public appearances combined with her creative flair ensures that when designing your dress she is taking into account your personal style, your venue, occasion and vision for your wedding day. Hailed “a modern day alchemist” by The Evening Standard’s super stylish ES Magazine, Lucia is able to transform your dress throughout the day with exquisite adornments ranging from dramatic long lace coats and sparkling shrugs through to back jewels, belts, head dresses and more. Each piece another surprise that tells a magical story of you as you float from one beautiful moment to the next. ‘All the world is a stage’ and this is your red carpet moment. The State of Grace Showroom sparkles in the Cotswolds, the heartland of weddings in the UK. You’ll be invited to join Lucia for a glass of bubbly in the glorious Regency reception room where you can discuss your plans for the day, before entering the atelier and showroom to explore the treasure trove of gowns, adornments and accessories, fit for a Goddess. You’ll be able to try on everything that makes your heart sing and explore with Lucia which fabrics, colours, details and transformations feel just right for you. Discover more about the Couture Journey here. 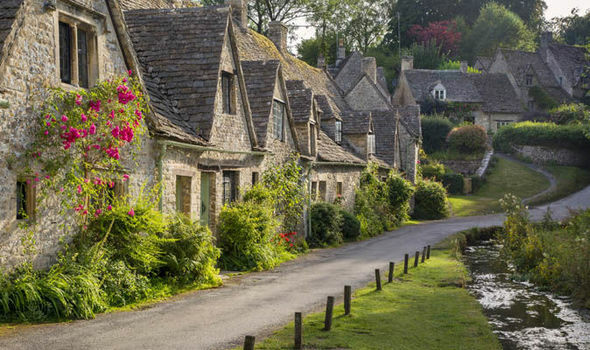 We invite you to make an inspired mini break of your debut dress and styling consultation and stay with one of our gorgeous partner B&Bs or Boutique Hotels in the beautiful Cotswolds’ countryside. Just over an hour and half by train from London, a trip out to this glorious part of the world gives you the space you need to relax, enjoy the journey and really focus on yourself. Bring your Mother, your fiancé or your best friend and enjoy an special trip – indulge in a spa break, visit our Cotswolds’ wedding venues, enjoy exploring the honey coloured villages including Broadway, Bibury, Winchcombe, Bourton on the Water and Burford or maybe treat yourselves to some retail therapy and a stylish lunch in Cheltenham or venture out to Daylesford Organic or Soho Farmhouse. 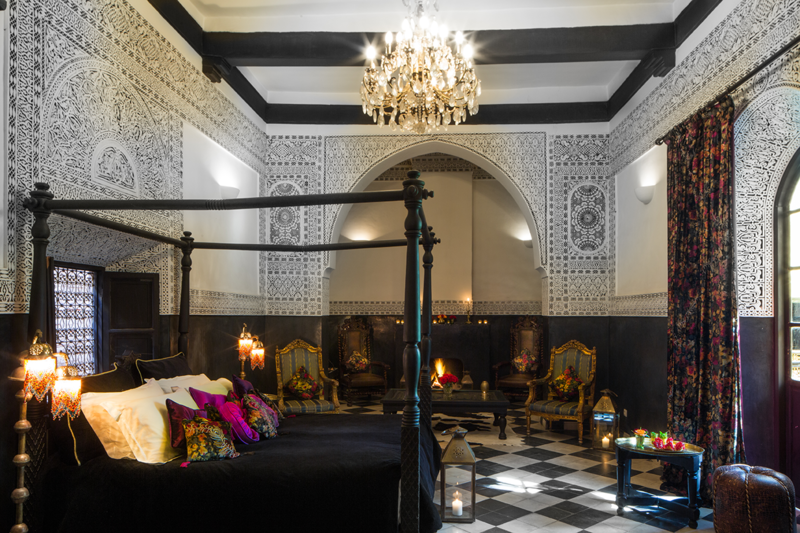 For brides and clients of the Silver Experience, Lucia offers a complimentary night’s stay at her sumptuous riad hotel, Dar Jaguar, Marrakech in The State of Grace Honeymoon Suite. Inspired by the romance and sensuality of Marrakech, Lucia has brought her dreamy creativity and vision to the complete renovation and design of this jewel of a riad in the perfect location within the ancient medina. Dar Jaguar is ideal for an intimate wedding or honeymoon as well as a leading destination for a special celebration of a stylish hen weekend. Check out our Marry-Kech page here.